Barry R Simon has a proven track record. How can we grow your business? 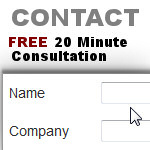 Receive a free consultation to learn when radio advertising is right for your business needs. Is your business lost in cyberspace? Let's talk about how Search Engine Optimization = SALES. In today’s nervous world of business and finance, many are paralyzed and waiting to “see what happens.” At Barry R Simon, we are looking to help individuals and companies to launch out boldly, in spite of the climate. History has shown that those companies that advertised during difficult times like the Depression and World War ll are still around today. One of the legendary stories of WWll is that Wrigley Gum advertised during the entire war. There is just one detail that is missing———–they didn’t have a stick of gum for sale during the whole period! Today, Wrigley’s Spearmint, Doublemint, and Juicy Fruit gums are still as well-known as Coca-Cola. During difficult times, those who “circle the wagons” or cut their marketing and advertising significantly or to zero, appear to be out of business, while those who increase their exposure significantly reap a large portion of what is being bought because of their constant visibility. The myth that the media and the government are telling is that everything is bad. Is everyone sitting at home because they are out of work and therefore not going anywhere and not buying anything? Tell that to the traffic companies that monitor the roads all day. Approximately 93 – 94% of the U.S. workforce is employed! Is everyone standing in line at a soup kitchen or selling apples on the street? Change is hard for many because it’s being creative—doing something different from “the way we have always done it.” These are new times of uncertainty with the federal government spending money like the supply is unlimited and taking over financial institutions and bailing out everyone that seems to get in line.